What is Go Programming Language? Go, developed by Google in 2009, is a programming language that provides support for features such as garbage collection, type safety, and dynamic types, to name a few. It is one of the most popular and fastest growing languages. In addition to this, it also supports a standard library and contains built-in types like key-value map and arrays of varying lengths. It was developed by Robert Griesemer, Rob Pike, and Ken Thompson. The latest version of the Go programming language is 1.11. 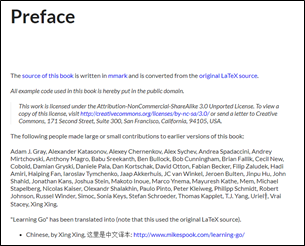 Go made its first appearance in 2009 in some of Google’s production system. In order to set up an environment to implement Go language, you will require a text editor and a Go compiler. You can download the latest version of a Go installable archive file from this link. In this article, we will introduce you to some of the common free online resources that help in exploring the Go programming language. Find the top 30 Goe tutorials along with a description of each in order to learn Go programming language. 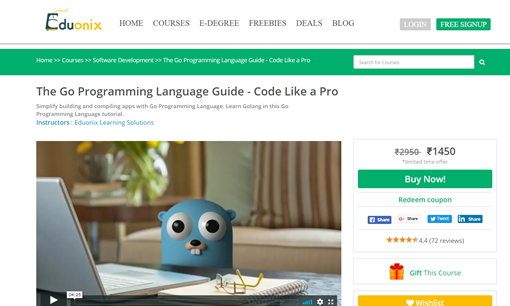 Udemy provides an online course tutorial to learn the Go programming language. It covers all the concepts starting from basic to advanced level features. This course tutorial is designed according to the novice programmers, who want to learn Golang. 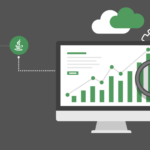 Udemy provides several assignments, projects, and quizzes to test your understanding of these concepts. 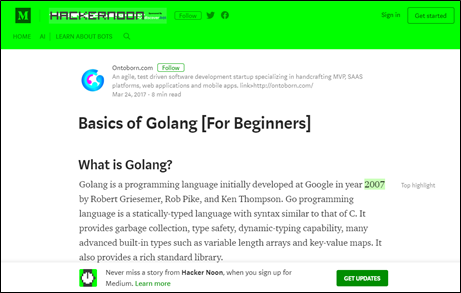 You will find several opportunities in this tutorial to learn and master Golang. In order to get started, you are required to create an account on udemy.com. The online Go course tutorial presented by gobyexample.com is very interactive and a great tutorial to start with. It represents all the topics or concepts in a systematic manner. For example, one can easily learn in a few minutes about how to install Go in a particular system. All the concepts are very well-explained, clear and instructive in nature. 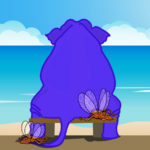 As its name suggests, this tutorial website presents each concept with the help of an example. It is suitable for beginners as well as advanced programmers. Experienced persons can gain more knowledge with this tutorial. If you are looking for an online resource to learn the Go programming language, then you are at the right place. 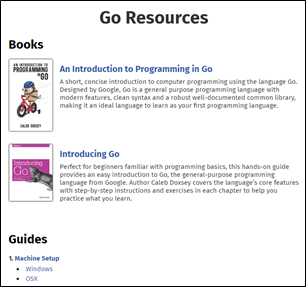 Go Resources is a perfect destination for those who are in search of a free online tutorial to learn Golang. 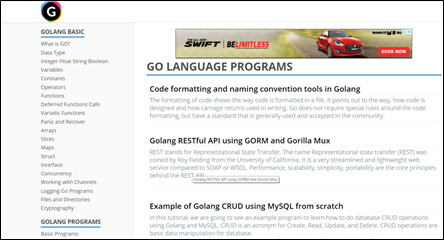 Here, you can download or view online different supporting books of Go programming language by clicking on links provided on the webpage. This is a comprehensive guide to learn the Go programming language. This course is designed with all the basic and advanced concepts. Hence it is widely used by most of the learners across the world. Go Bootcamp is a very useful resource over the Internet as it is open source and freely available in order to learn the Go programming language. Gophercises offers a free online tutorial to learn and become familiar with the concepts of the Go programming language. It guides and assists you in enhancing your skills as a developer or programmer. It provides you with exercises to practice coding that will slowly boost your confidence while working with Go. You need to create an account on gophercises.com to get started with the Go programming language. You can learn and practice different concepts of Go such as channels, mutexes and goroutines. This is a free online book that offers good quality content to learn Golang. It explains each concept of Go with clarity and well-defined examples. Hence you are not required to have prior coding experience. You can learn from basic to advanced level. Also there is no need to create an account. You can directly access the entire content of this free online book. CosmicLearn is an online platform that provides free tutorials about programming languages and other fields like database, web development, mobile development, cloud computing, and many others. 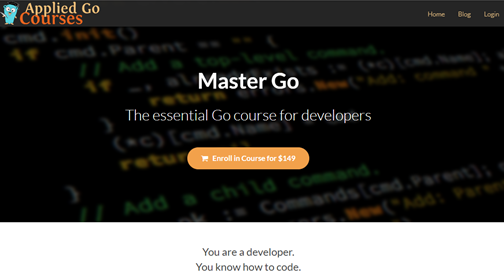 It offers a free online tutorial to learn the Go programming language. Here each concept is explained with the help of an example. A beginner can easily learn about Go under this platform. It also provides you a quiz to test your skills and practice coding in Go. Safari is an online library (also referred to as digital library) having a plethora of books related to different fields such as engineering, medical, accounts, data science, and many others. It was established in 2000. It provides quality courses in programming languages such as Go, C++, Java, SQL etc. Along with books, it also provides video tutorials. In order to get access to the world of books, you are required to create an account at safaribooksonline.com. You will be provided with one-month free trial. Later you can purchase a membership, if desired. TutorialsPoint is among the leading websites that deliver knowledge about the Go programming language. This tutorial website is useful for both beginners as well as professionals. Here you can learn the basic concepts of the Go programming language along with advanced features. This tutorial also provides support for a question & answer forum, where you can ask your queries to other members in order to clearly understand each topic and concept. So get ready with your all weapons to explore more about Golang. 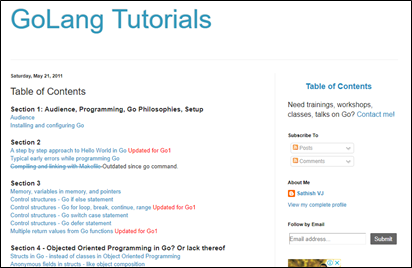 Golangbot offers free access to the Go programming language tutorial. It is a platform where all the information related to the Go programming language is available. This tutorial will teach you about the basics of Go language with the help of code and practical problems. 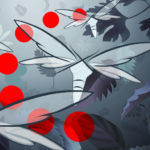 Whether you are an expert or beginner, this tutorial has something new for everyone. 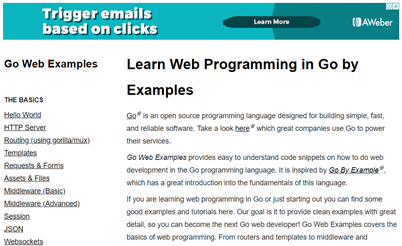 This tutorial focuses on providing code snippets to teach web programming in the Go programming language. If you are looking to pursue your career as a Go web developer, then this tutorial is the best place for you. Here you will learn about basics of web programming, advanced concepts, implementing security in web programming etc. So stop looking for other resources. Try gowebexamples.com now to get started with web programming in Go. Toptal.com provides an online tutorial for the Go programming language, suitable for beginners as well as experienced programmers. It starts with basic concepts along with several examples and code snippets. Then it moves towards advanced concepts in Golang. Each concept is explained with the help of suitable diagram and example. 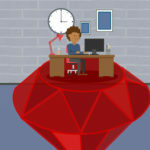 Tree House offers video tutorials about several programming languages such as Go, Java, Python, Ruby etc. It is emerging as one of the best online platforms that provide online courses of such languages. Hence, if you want to learn Golang, then teamtreehouse.com is well-suited for you. Whether you are a beginner or an experienced programmer, you can learn all the concepts of Golang. In order to get started with Golang, you are required to create an account. Then you will get access to full course content. Codementor offers tutorials, videos, guides and important tips to learn the Go programming language. It provides tutorials created by some experienced Go developers. It presents course content in a way that is simple and easy to learn. 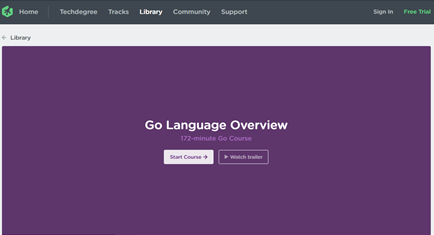 Pluralsight offers a tutorial about the Go programming language. It covers all the topics including interfaces and concurrency in Go. Both beginners and professional developers can learn from this tutorial. Also, beginners are not required to have prior programming knowledge. You have to create an account on pluralsight.com to get started with Go. You will be provided with a 10-day free trial, after which you have to pay some amount to continue the course. Monthly subscription starts from $29 and annual subscription starts from $199. The course content includes full course library, exercises, and certificate of completion. ReactDOM is a perfect destination for those who are looking for tutorials or books to learn the Go programming language. It provides access to plenty of tutorials, courses, and books in order to deliver knowledge to all the visitors. Some of the common books provided by ReactDOM includes Go in Action, Concurrency in Go: Tools and Techniques for Developers, Go Web Programming, Go in Practice: Includes 70 Techniques, Go Programming Language etc. These books help both novices as well as experienced programmers to learn the concepts of Go programming language. Hackernoon provides free course content to learn Golang. The content is presented in such a way that any user can easily understand the underlying concepts. It begins with basics, which covers all the fundamentals of Golang. It will also teach you how to set up the environment for Golang. 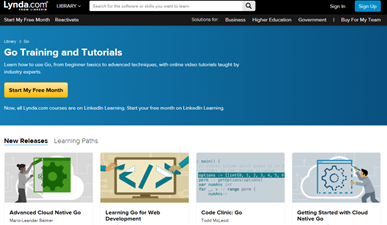 Lynda online tutorial will teach you how to use and work with the Go programming language. It will provide you with all the content right from the basics to advanced concepts. It offers video tutorials designed by popular industry experts. Lynda.com is a premier website. You have to create an account n order to get started with Golang. It offers one-month free tutorial classes, after which you have to purchase a premium course so that you can continue to learn Golang. 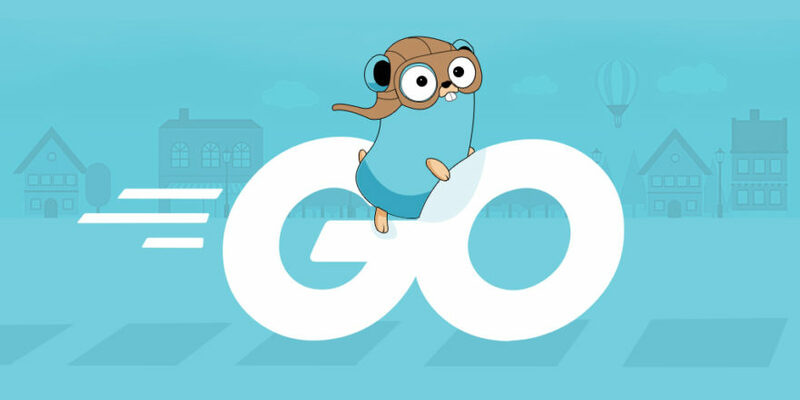 If you are looking for some additional Go libraries, frameworks or other resources, then Awesome Go is a perfect destination for you. It contains an active and curated list of Go libraries and other resources. 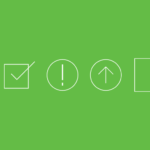 Here, you can find some amazing Go tools such as code analysis and editor plugins. Also, you can find server applications on this website. 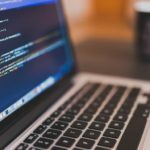 Along with learning, testing your skills in Go programming language is also an important part of your journey to becoming a professional developer. You should take part in different online skill tests and check whether you are able to solve problems on your own or not. Techgig provides access to multiple free skill tests, where you can apply your knowledge and test your practical skills. Apart from Go, it also provides exercises related to other programming languages such as C, Java, C#, .NET fundamentals, C++, HTML5, MySQL, PHP, and many others. This is a free online tutorial class that helps both beginners as well as professional developers learn how to program with the Go programming language. It has a good collection of basic and advanced concepts. It has divided the entire course tutorial into multiple sections, where each section is explained with the help of an example. Golang Basic tutorial is one of the best online platforms to learn the Go programming language. Here, you can learn Golang with the help of code and examples provided by the experts. This is the right place for both skilled and unskilled programmers to explore the depth of Golang. So be ready to become a professional in coding with the Go programming language. Eduonix is a comprehensive tutorial guide to learn and become an expert in the Go programming language. It is a premier online tutorial where you need to create an account in order to access the course content. Initially you will be provided with a free trial and access to premium content. Later you can choose to buy the course, if desired. 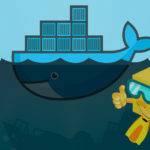 It provides you with sufficient information related to other languages such as Java, Python, and C.
How to use loud services including Google Cloud, Amazon Cloud, and Docker. Ardan Labs has a good collection of articles and tutorial videos that help in learning the Go programming language. It has articles published by William Kennedy. 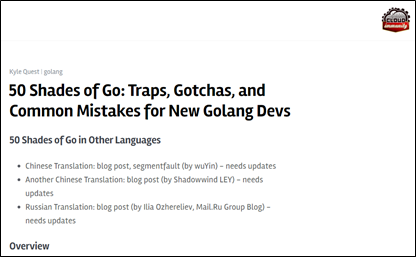 These articles have the potential to clear queries of users related to Golang concepts. It also provides training in Golang and data science as well. 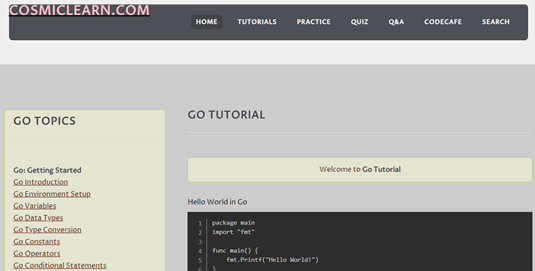 This is an online tutorial that offers free courses related to the Go programming language. It is available in two other languages i.e. Chinese and Russian. It explains each concept with the help of a related example. This tutorial has divided all the concepts into three categories i.e. novice, intermediate, and advanced. Hence it is widely popular among beginners as well as professional programmers. You can easily learn whatever concept you want to explore. Advanced developers can easily gain more knowledge and nourish their coding skills in Golang. 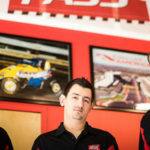 This is a paid online video tutorial presented by Applied Go Courses. It covers all the fundamental aspects of the Go programming language. This tutorial begins with basics and then moves toward advanced concepts. It offers video tutorials that introduce you to Go concepts. You are required to create an account and enroll in a course to get started with Golang, which starts from $149. 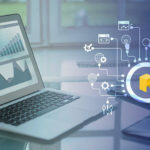 InfoWorld provides free access to use blogs that offer quality online tutorials to learn the Go programming language. These blogs are provided by Martin Heller. While accessing these blogs, you are required to provide your email ID so that you can continue to read the full blog and learn Golang. 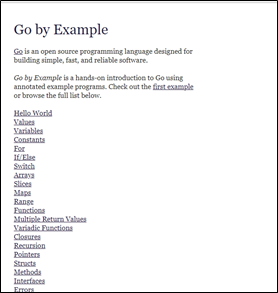 This tutorial website offers you a complete tour of the Go programming language. It has an builtin code editor with which you can practice the concepts. It is suitable for beginners as they take baby steps into the world of programming. 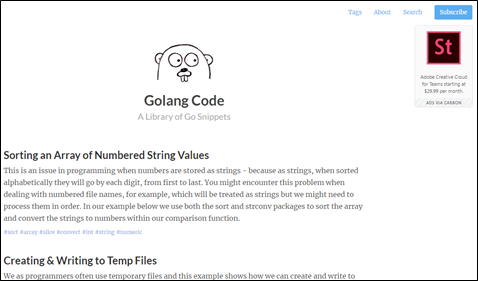 Golang Code offers a variety of Go code snippets that help you to understand various concepts. For example, you can learn about how to create and write to a temp file, and encode or decode strings using base-64. It provides tutorials in a much better way as compared to traditional tutorial websites. 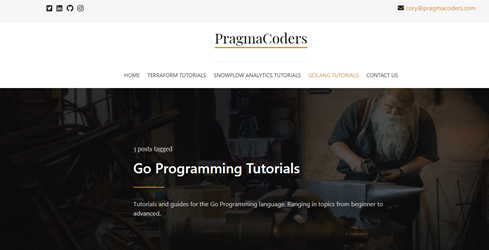 PragmaCoders provides tutorials and guides to learn the Go programming language. It has all the content ranging from beginner to advanced level. You can easily learn Go with the help of PragmaCoders. It also provides tutorials about other platforms like Terraform and Snowplow as well.